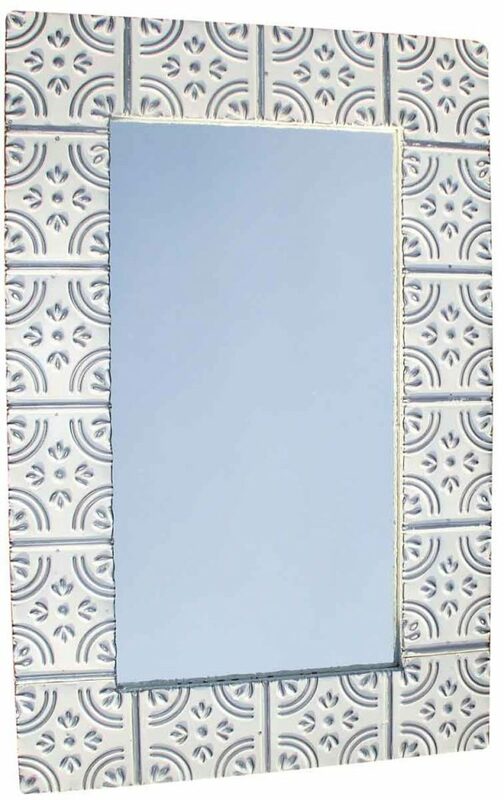 This beautiful mirror has been hand crafted in the US from original ceiling tin. Our craftsmen have mastered the art of highlighting the design of the tin with crisp white paint. This mirror is new and has been inset into the carefully crafted frame. Our mirrors are known for being very well made!